defunct Biafran police during the civil war. The Police officers were granted presidential pardon in 2000. 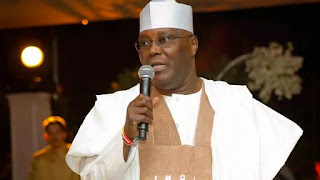 Atiku, writing on his Twitter page, said Buhari’s move “shows a commitment to peace and unity”. He tweeted: “I commend @NGRPresident @MBuhari for ordering payment of pensions to pardoned Biafran soldiers. It shows unity! The Pension Transitional Arrangement Directorate (PTAD) on Wednesday announced that about 162 of such retired police officers and 57 Next of Kin will be paid their benefits in the first phase, which kicks off this month.